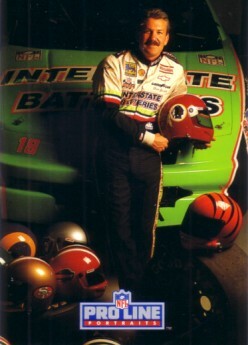 RARE 1992 Pro Line Portraits Collectible insert card #6 featuring NASCAR driver Dale Jarrett. NrMt-Mt or better condition. ONLY TWO AVAILABLE FOR SALE.